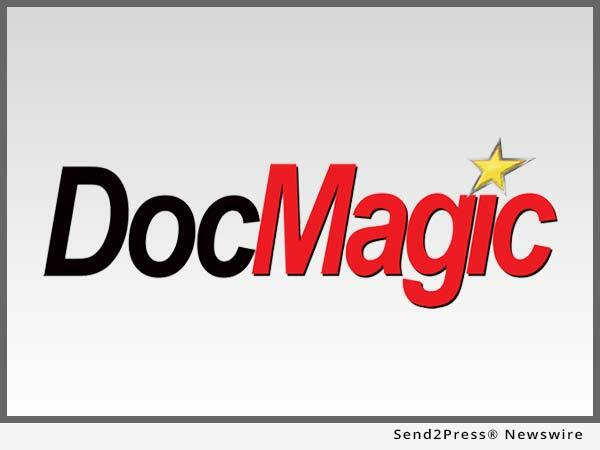 DocMagic, Inc., the mortgage industry’s leading provider of document production, automated compliance and comprehensive eMortgage services, announced that it completed North Carolina’s first 100 percent paperless eClosing. The DocMagic-driven eClosing was completed on Friday, May 5th at North State Bank and was carried out in the presence of borrowers Jason and Karen Boccardi, the North Carolina Secretary of State, a closing paralegal, an eNotary, and members of the media who documented the historical event. TORRANCE, Calif. /Mortgage and Finance News/ — DocMagic, Inc., the mortgage industry’s leading provider of document production, automated compliance and comprehensive eMortgage services, announced that it completed North Carolina’s first 100 percent paperless eClosing. The DocMagic-driven eClosing was completed on Friday, May 5th at North State Bank and was carried out in the presence of borrowers Jason and Karen Boccardi, the North Carolina Secretary of State, a closing paralegal, an eNotary, and members of the media who documented the historical event. Attorneys from the Hunoval Law firm attended via interactive video. The entire eClosing took only about 20 minutes to complete. DocMagic’s Total eClose(TM), which contains all the components to facilitate a fully compliant, 100 percent paperless digital closing, served as the single platform that enabled the entire transaction. eNotarization was facilitated by long-time DocMagic strategic partner World Wide Notary (WWN). DocMagic facilitated four of the five statewide-first eClosings, as well as the CFPB’s eClosing pilot program. The North Carolina eClosing was part of a state sponsored eClosing Pilot Program that was established in 2016 by North Carolina Secretary of State Elaine F. Marshall to create a best practices guide for mortgage lenders seeking the heightened security, speed and efficiency of eClosings. North State Bank is the only lender in North Carolina, and one of only a handful of lenders nationwide, to have successfully completed a 100 percent paperless eClosing. The eNote was registered on the MERS eRegistry and made available to Mid America Mortgage, the investor in the transaction-within minutes of being executed by the borrowers. Unlike hybrid systems that still require various documents to be papered-out, DocMagic’s eClosing system enables a 100 percent paperless process-this means that the eClosing requires zero paper from any party whatsoever, including documents requiring notarization. “This was our first North Carolina eClosing; it is not our last. We want this to become a regular option for lenders and their customers because of the many advantages eClosing offers versus the slower, traditional paper-based system,” Secretary of State Elaine F. Marshall said in a statement. Secretary of State Marshall has been a leading advocate for modernizing traditional business practices in North Carolina to better compete at the national and international levels. DocMagic’s digital mortgage suite includes all the critical components required to execute a 100% paperless eClosing transaction. The single-source platform creates a highly-efficient, transparent and fully compliant eClosing process that guides users through every step, logs all activities and creates an irrefutable audit trail. DocMagic, Inc. is the leading provider of fully-compliant loan document preparation, regulatory compliance, eSign, eDelivery and comprehensive eMortgage services for the mortgage industry. Founded in 1988 and headquartered in Torrance, Calif., DocMagic, Inc. develops software, mobile apps, processes and web-based systems for the production and delivery of compliant loan document packages. The company’s compliance experts and in-house legal staff consistently monitor legal and regulatory changes at both the federal and state levels to ensure accuracy.